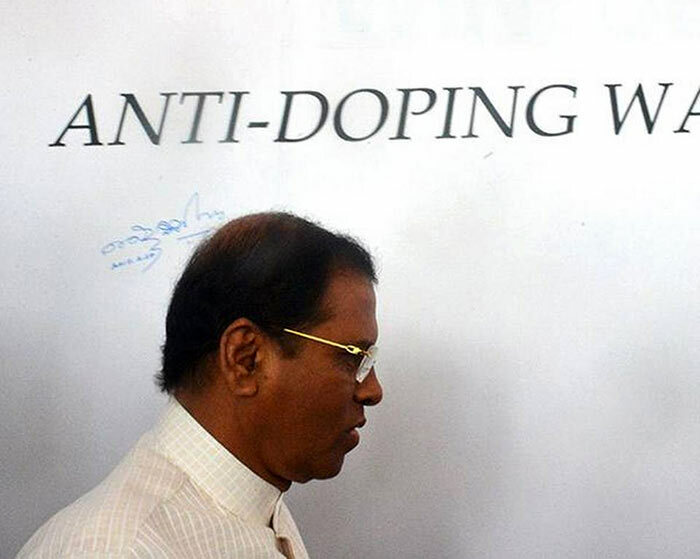 President Maithripala Sirisena’s controversial announcement last month that drug traffickers in Sri Lanka would be executed drew international attention. Renewing an older pledge, he sought to lift a four decade-long moratorium on capital punishment in the island, modelling his strategy for combating the drug menace on that of Philippines President Rodrigo Duterte, who he had met in January. Human rights watchdogs condemned President Sirisena’s decision and urged him to reconsider it, even as authorities began advertising for a hangman with “excellent moral character”. Meanwhile, Sri Lanka’s Special Task Force (STF) has been tracking and arresting pedlars here rapidly. Huge drug hauls and frequent arrests of traffickers manning underground networks have dominated headlines over the past month. The STF has arrested at least 200 persons since January for alleged heroin trafficking alone. In late February, Sri Lanka police seized 300 kg of heroin, worth nearly $17 million, from a parking lot in Colombo. Said to be a record haul in the island, the seizure and the two arrests made then signalled an intensifying of police crackdown. Further, there has been a marked increase in the quantity of heroin seized in the island this year — over twice the seizure made last year. According to the Special Task Force, police confiscated 275 kg of heroin across the island in 2018, while in 2019 so far, about 570 kg of the narcotic have been seized. The real breakthrough came in early February, not in Colombo but some 3,000 km away. In what is believed to be an extraordinary raid, Dubai’s law enforcement officials arrested Sri Lanka’s most-wanted underworld drug kingpin Samarasinghe Arachchilage Madush Lakshitha, known as ‘Makandure Madush’, in the emirate. Local media said Madush had been evading arrest by the Sri Lankan police for nearly two years until then, but along with him, Dubai police arrested many other suspects allegedly linked to the drug trade, including a couple of well-known Sri Lankan artistes. The string of arrests set the stage for a larger operation by the Sri Lankan police to make swift arrests in their bid to dismantle the narcotic network that, over the last few years, brought a host of related crimes and dangerous weaponry into Sri Lanka. According to a recent report in the State-run Daily News, kingpin Madhush is in Dubai Police’s custody while Kosgoda Sujee, reportedly an accomplice, is said to have escaped his residence in Dubai. STF chief Mr. Latiff referred to the two as “the nucleus” of all drug-related crimes in the country. “We are monitoring and investigating the activities of their aides. We are set to arrest their accomplices any time now. Things will happen within two or three days,” he said. Earlier this month, the Police Narcotics Bureau told a Colombo court that five drug traffickers, including Kosgoda Sujee, who is currently in hiding in Dubai, were chiefly responsible for heroin to enter the country. Sri Lanka also sought the help of Interpol to arrest some of the key suspects who are absconding. Police are also seizing cannabis, popularly known as ‘Kerala Ganja’, and believed to be brought in from India in many cases. Officials say cannabis has become a serious social challenge in the war-affected region in the north. In 2018, a total of 1,056 kg of cannabis was seized while in 2019 so far, 126 kg has been confiscated, according to the STF. Sri Lanka, authorities note, may have become a transit hub for the drug trade in the region. Earlier this month, police seized 170 kg of heroin near Colombo. The haul, said to be worth $10 million, was smuggled from Pakistan and Afghanistan, reports quoted the police as saying. The potential involvement of foreign nationals and networks in the neighbourhood only suggests that the drug menace may not be Sri Lanka’s alone. Ah at last he got some thing to do other than visiting other countries supported by the tax revenue.